Cash back apps and surveys are good to save little money on the side. They will not make you rich but will help build a certain amount of money in the long run. These apps are free to use so why not use them to increase some savings. It takes little bit of actual planning , discipline and determination to earn and save money from side jobs. Some of the side jobs can pay you instant money but some of them takes time. But if you are keen on saving each and every penny then this is your one of the side hustle. 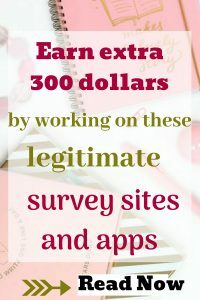 Some of these apps pay you for surveys, for using internet, for shopping. There are number of ways to earn money, only you should be able to pay attention and be patient. You will get lots of offers on swagbucks. You can complete surveys in your free time and could earn points. These points could be redeemed as vouchers. You can get points for shopping through swagbucks. And you can find coupons also. Sign up for swagbucks here. Start earning your SB when you sign up for the swagbucks and then sign in to your account where you can find some surveys and complete them. Do your surveys while going in public transport if you use. Or while watching TV. Imean only in the time when you are not doing anything else.Shopping part is fun. Ebates is also a cashback company which pays you for shopping. It is really fun when you get some money back from your purchases.For getting the cash back from ebates you have to sign in start your shopping through them. If you have already done your shopping, you will not be able to earn any cash. Remember the times when as a child we all use to keep change in our piggy banks. I use to collect coins and then will get bigger notes from my mother in exchange of those coins. Raiz does the same. Raiz is micro investment app.This app round up your purchases with the credit card you have linked to the app. And make micro investments for you. This site is free for students for 4 years with the .edu mail id. Other Investors have to pay $ 1 per month in fee. Stash is an investment app that helps in making the process of choosing exchange traded funds easy and individual stocks approachable for beginners. It charges you $ 1 per month for less than $ 5000.And .25% for accounts above that. It doesn’t directly invest but directs the investor on how to start investing with ETFs and single stocks. And the best thing is you don’t need a big amount of money to start with. Minimum threshold for investing through stash is $5. Rewards central provide good amount of surveys. You will earn 20 to 170 points for each survey. Also it is possible to have auto cash out with this site and you can also request for traditional cash out which is my favorite also. For traditional cash out you need to have 3800 points which convert to $ 30. Or you can get auto cash out at 1100 points for $ 10. 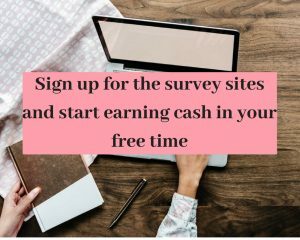 Pureprofile is a survey site which pays you for surveys. And even if you don’t qualify for the survey , they pay you for your time. It is a good place to earn some extra bucks by completing surveys and other tasks. And this is my favorite place for surveys. Only setback is that you have to have 50 dollars to redeem your money. It is good website to earn little extra money on side . The site is easy to use and you get very surveys to complete which don’t take very long . You can redeem points by having instant cash out, which is paid in the form of flexi eGift card. If you want real cash then you have to go through paypal. For getting cash you need to have 2000 points in your account. Each 100 points is worth $1 . This is a great place to earn some extra cash . The best part is that they pay you in cash not gift card. Octopus group claims to be highest paying survey websites. 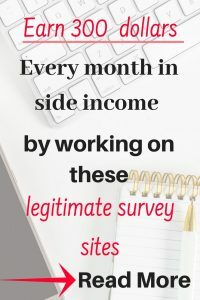 They pay you even if you don’t qualify.The only problem is you don’t get so many surveys but their surveys pay well. Sign up for Octopus group here. Toluna is a survey site which provides you points for not only surveys but you get to review physical products. You get to keep those products. And those points can be converted into cash or gift cards. 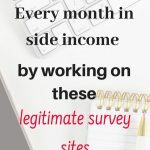 Please share this so that others can benefit from these survey sites.